Massachusetts Family Law cases and most Probate Law matters are brought in the Probate and Family Court where they are heard in open court by a single judge sitting without a jury. A Massachusetts family law case typically begins with the filing of a Complaint with the Court. After the Defendant has been served with legal process, the family law attorneys may often engage in “discovery” or the determination of facts relevant to the controversy. Books, records or documents may be sought from either side or third parties. Parties may seek to take “depositions” or examine a person under oath in the presence of a stenographer. Often times it may be necessary to retain an “expert witness” to value real estate or a business owned by one of the parties. If the parties are ultimately able to resolve their dispute, the family law attorneys will prepare a detailed Agreement which will be submitted to the Court for approval. If a full agreement cannot be reached, then the matter proceeds to trial and litigation. Litigation is generally the slowest and least economical approach, but may be necessitated by the conduct of the opposing party who refuses to negotiate in good faith or refuses to disclose relevant financial information. 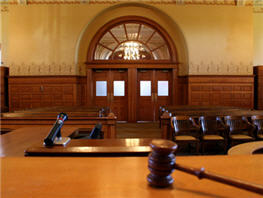 Contact Greater Boston Family Law Litigation and Trial Lawyer, Attorney Robert DiLibero. For an initial consultation regarding Massachusetts family law litigation involving divorce, child custody, support or other related Massachusetts family law matters, contact Attorney Robert DiLibero, a knowledgeable Greater Boston gamily law and divorce litigation lawyer. He believes in building trust and communication and settling disputes in a supportive environment. If you're in need of an experienced Massachusetts family law and divorce trial lawyer, call Attorney DiLibero to learn your legal rights and obligations. Call the Greater Boston family law litigation lawyer, Attorney DiLibero to schedule an complimentary initial consultation.